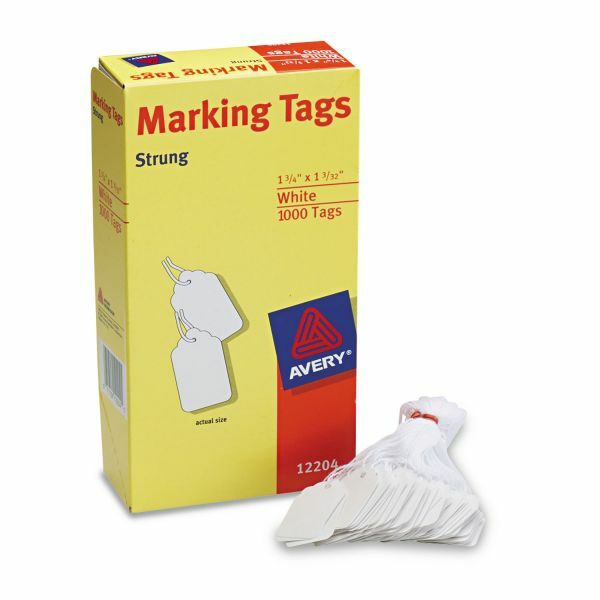 Avery Medium-Weight White Marking Tags, 1 3/4 x 1 3/32, 1,000/Box - Marking tags offer a smooth surface for writing to make it simple to label items with important information. Cardstock tag is durable for long-lasting use. A convenient string lets you tie the tag to whichever item needs to be labeled. 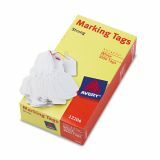 The tags' compact size makes them ideal for marking prices, sizes, ownership or other features for sale or storage. 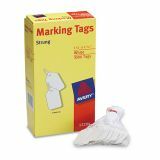 Use marking tags to organize items for sale, distribution, storage or other purposes.